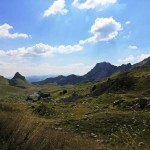 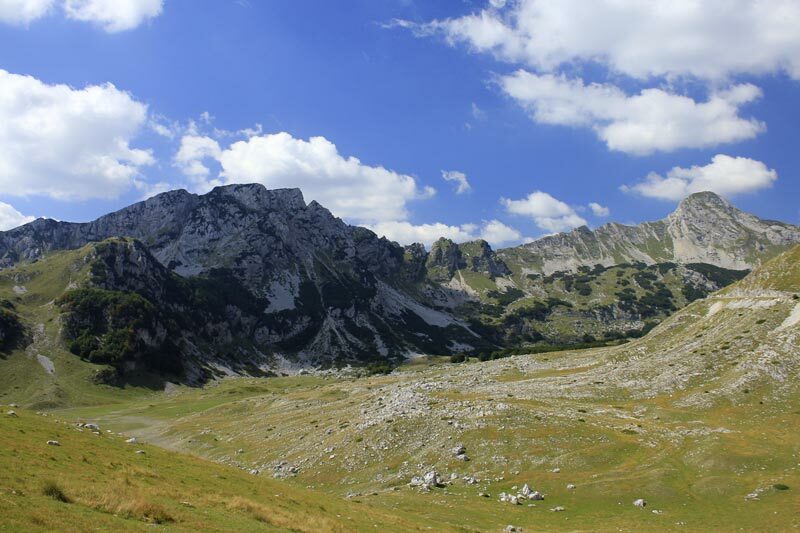 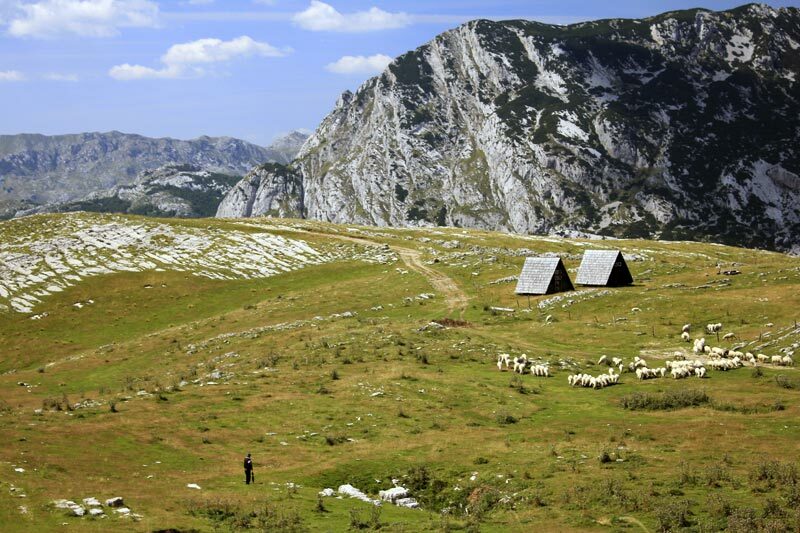 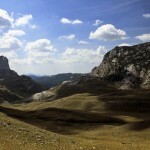 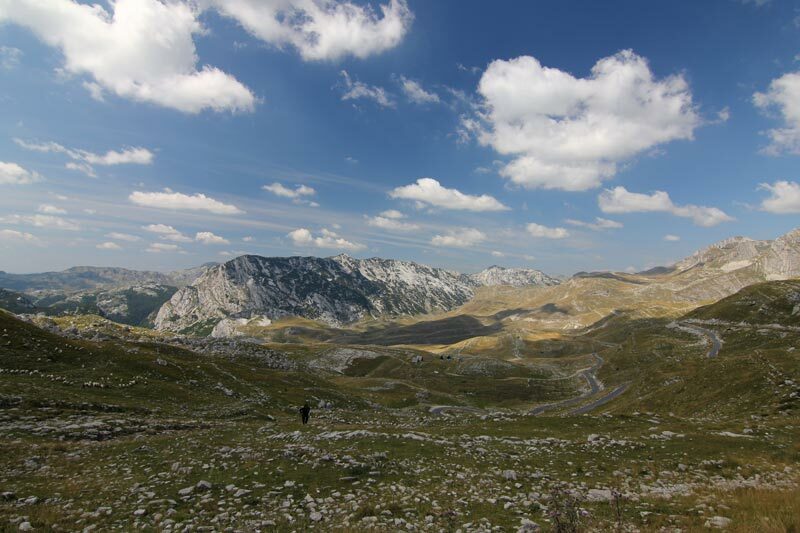 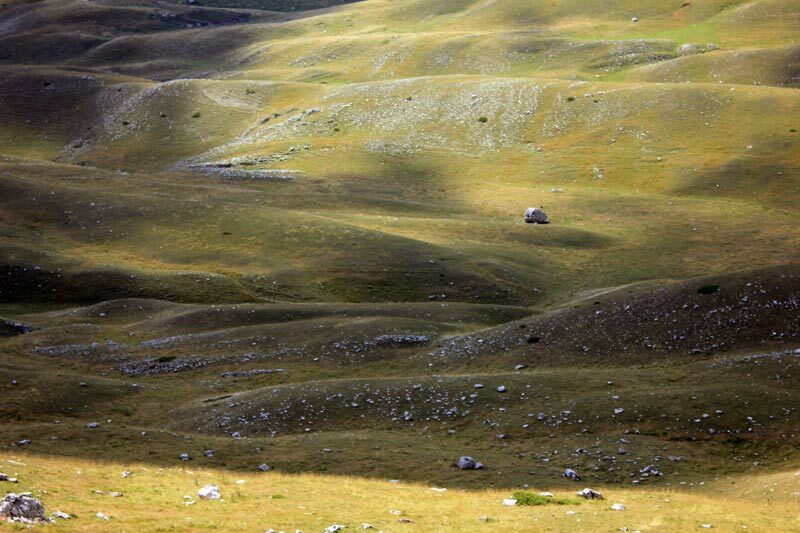 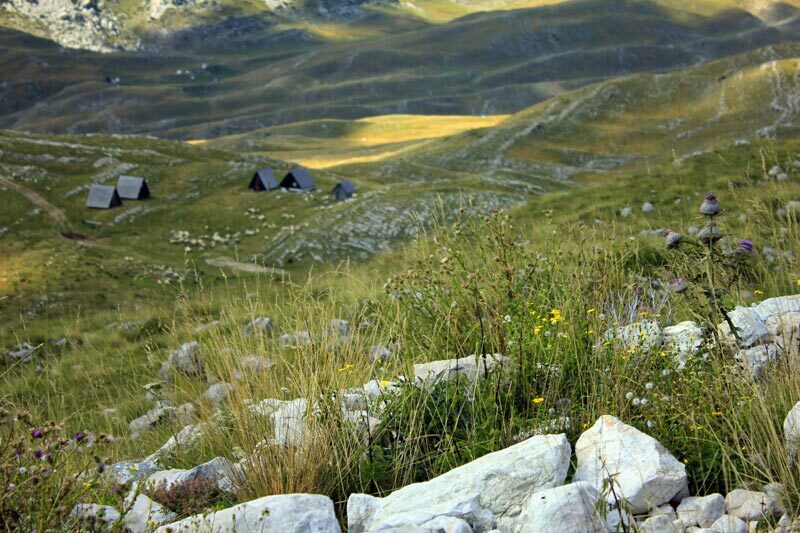 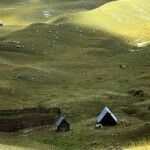 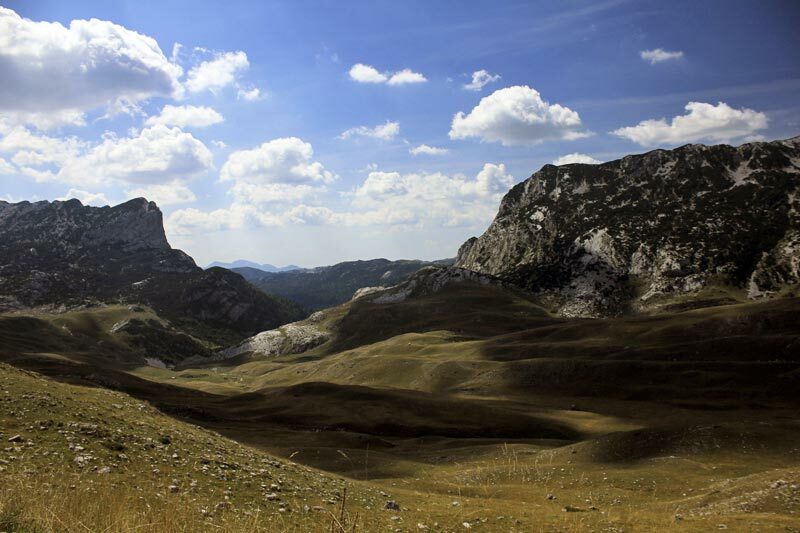 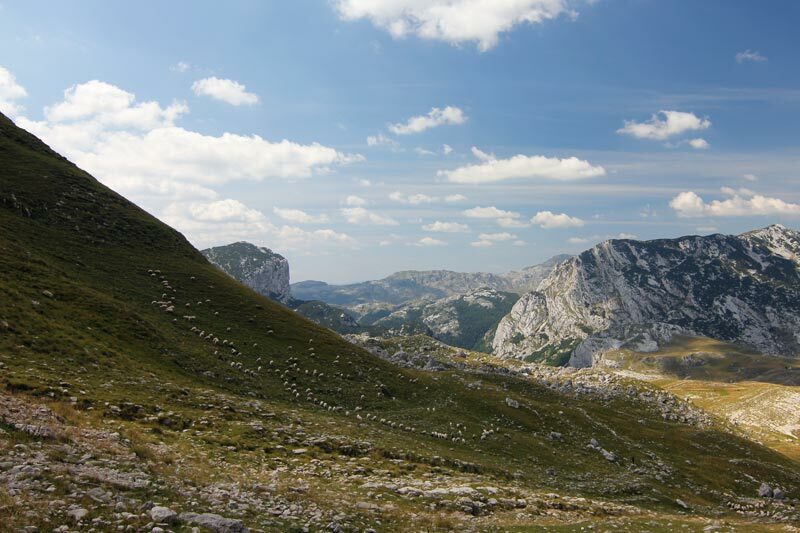 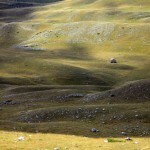 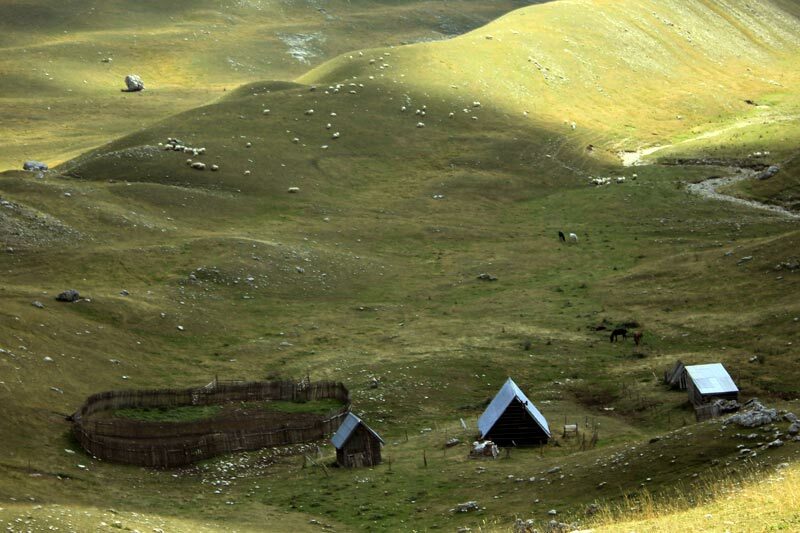 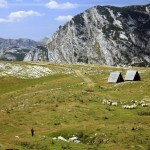 Landscapes of Durmitor, the beauty and integrity of rare and authentic work of nature, declared a national park in 1952. 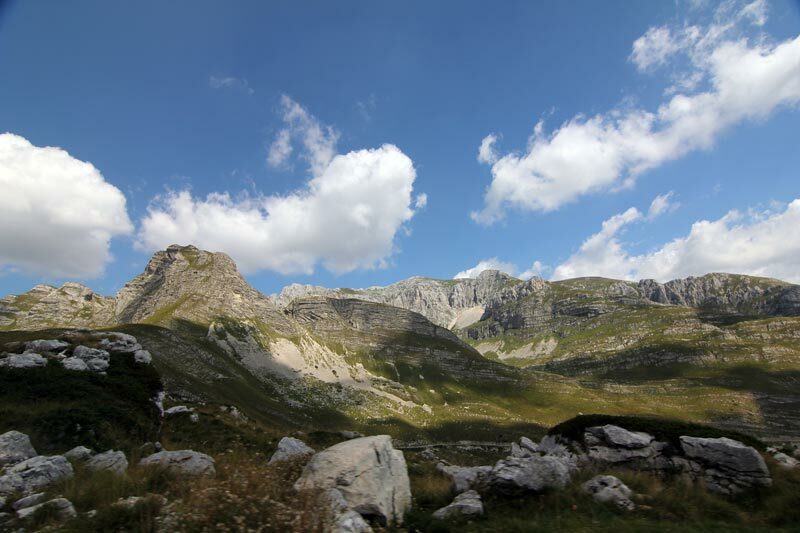 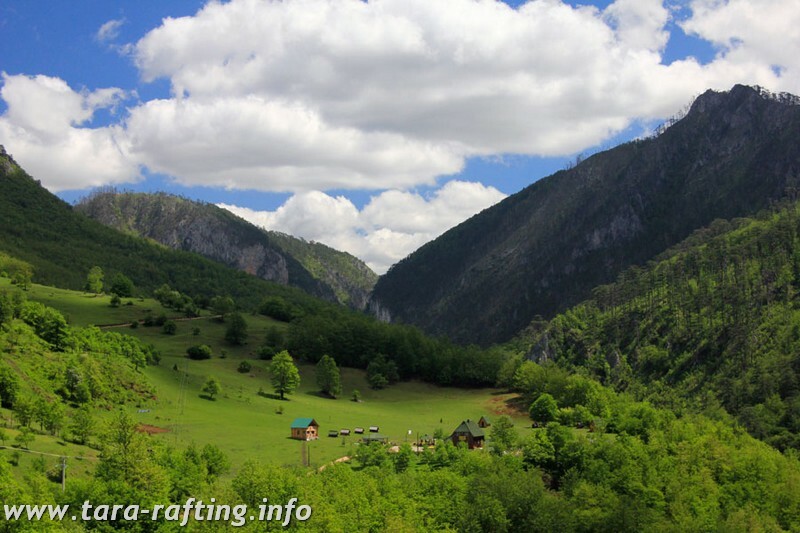 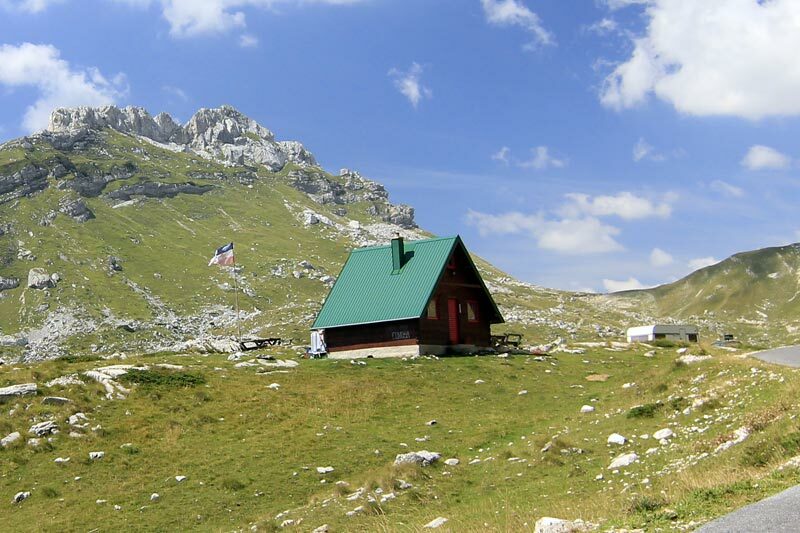 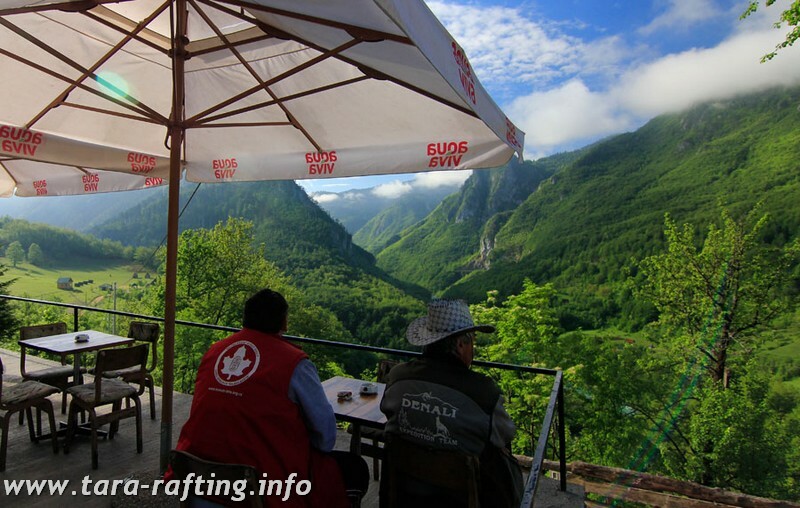 Located in the northwest of Montenegro, the park encompasses primary Durmitor with canyons of Tara, Draga and Susica and upper canyon valley Komarnica, covering an area of 39,000 ha. 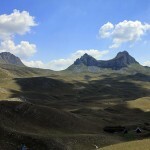 The main feature of relief Durmitor area is spacious plateau at 1,500 meters above sea level, which is intersected by deep canyon valleys, with rising imposing mountain peaks, 48 of them with more than 2000 meters above sea level and among the highest Bobotov Cook 2523 m.
The beauty of Durmitor massif special charm gives 18 glacial lakes called mountain eyes, at altitudes above 1500 m. The largest and most attractive is the Black Lake. 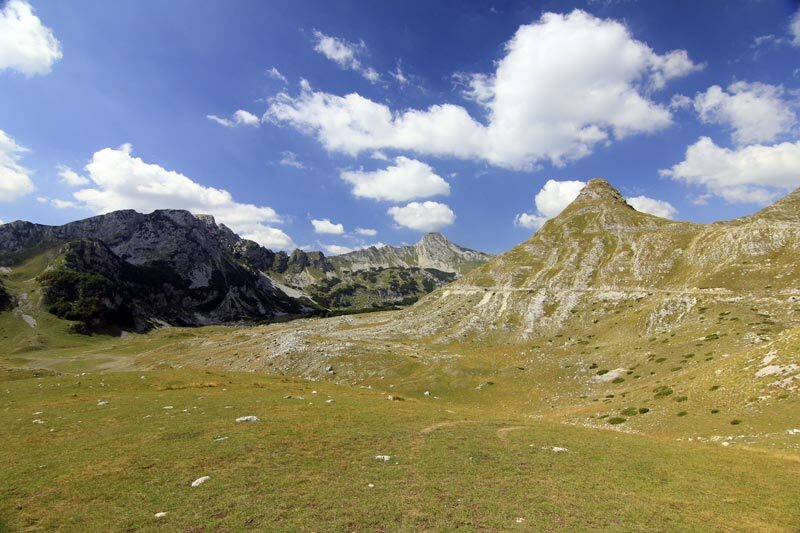 The magnificence of the landscape is enhanced the beauty of the lake basin and the glittering water surface, a large wooded area that surrounds the top Međedi, frightening raised upon it. 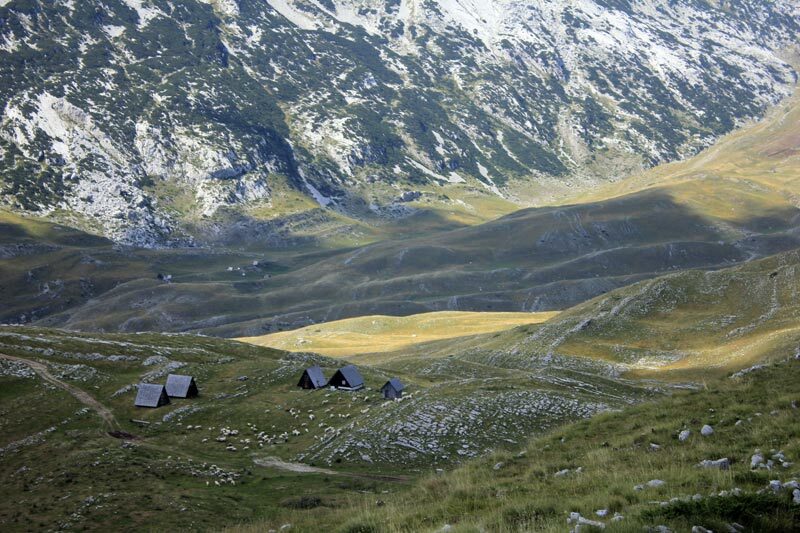 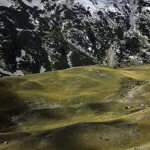 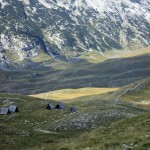 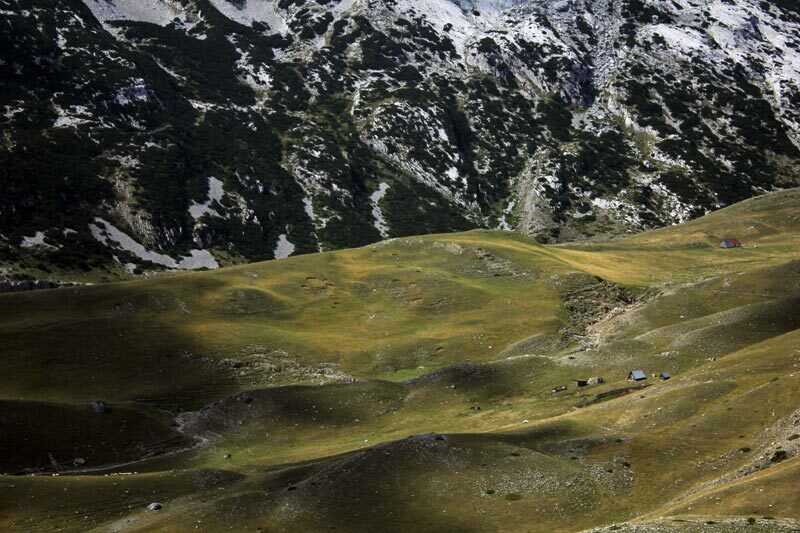 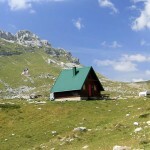 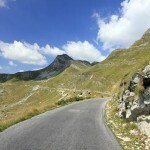 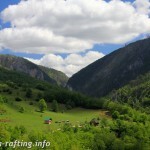 It is 2 km from the mountain town of Zabljak, the winter tourist center of Montenegro. 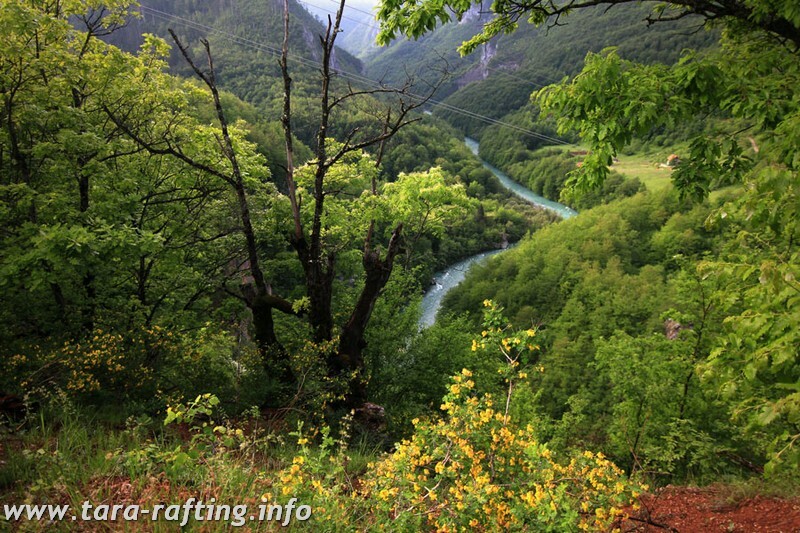 Among the most beautiful decorations of the park are clear, gushing rivers that gave to this area the astonishing canyon valleys. 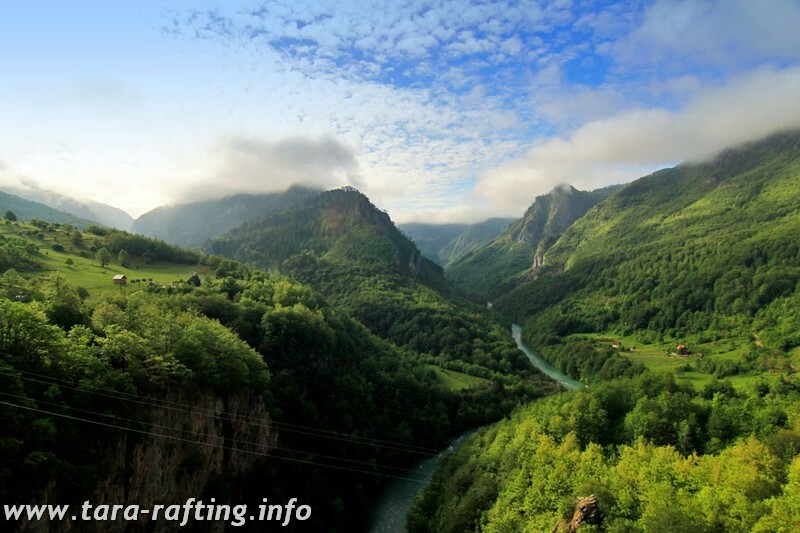 Particularly impressed by the river Tara, its beauty and the flowing water, and depth and canyon scenery, making it one of the most beautiful in the world. 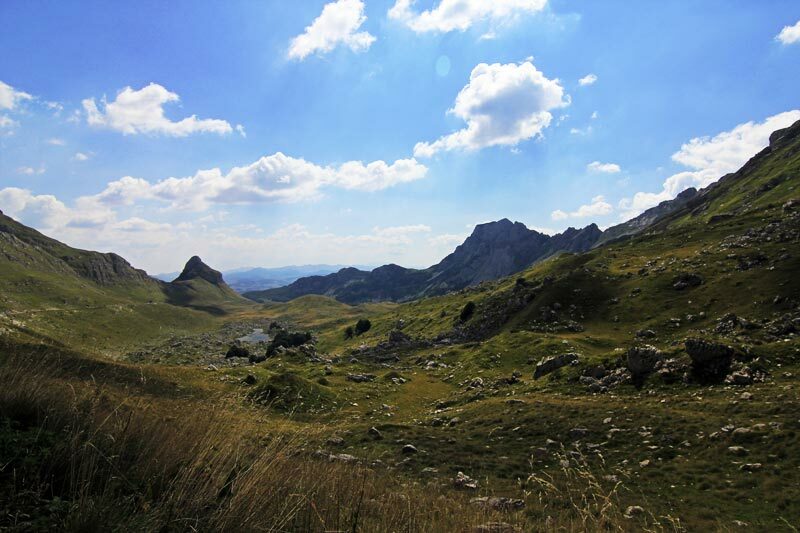 By the richness of flora and fauna, ecosystem, representing over 1,300 species of vascular plants as the exceptional concentration of endemic and relict species, Durmitor represents the magnificent natural value and lasting inspiration for scientists and nature lovers. 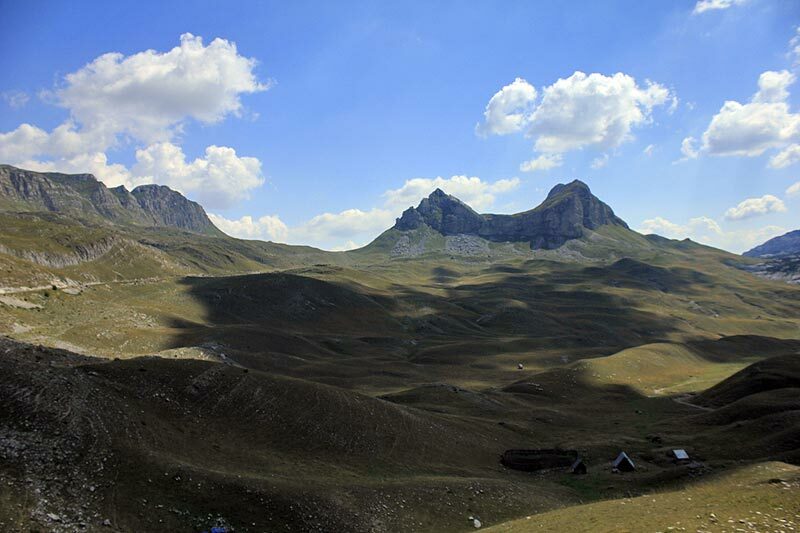 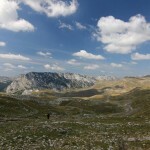 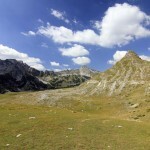 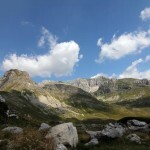 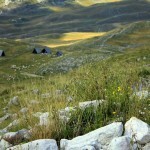 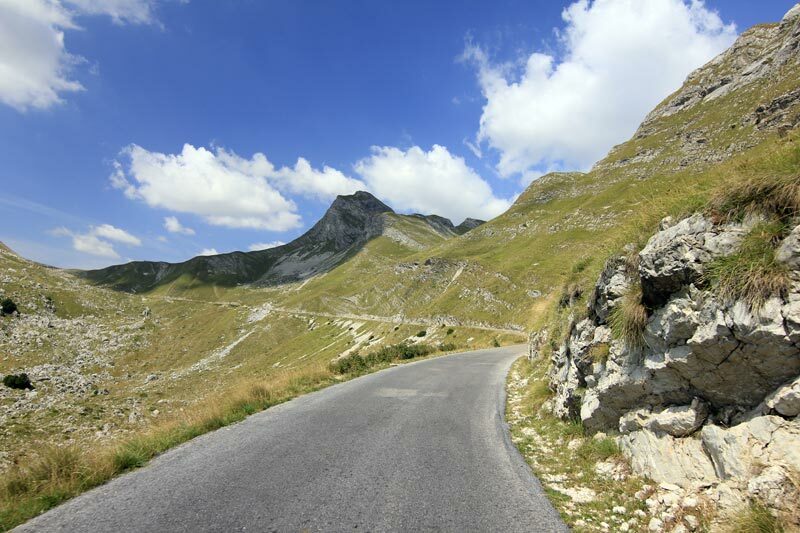 Durmitor National Park has a considerable number of cultural monuments from antiquity to the present. 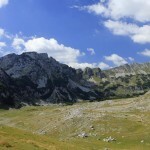 The most characteristic are medieval monuments: the ruins of cities and forts, bridges and watchtower, the necropolis and monastery complexes in the valley of the river Tara. 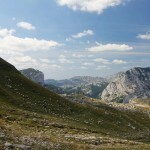 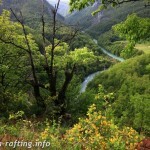 All the splendor of natural beauty, environmental and cultural values of Durmitor and Tara River, prevailed to Durmitor National Park included in the list of World Cultural and Natural Heritage, the decision of the International Committee for the World Cultural and Natural Heritage in Paris in 1980, while the river Tara and its canyon valley, vim UNESCO man and Biosphere program in 1977 was included in the environmental world biosphere reserve.